It is the colours of the South of France that conjure up such an alluring scene in your mind. The vivid purple of Provence’s rolling lavender fields, the deep crimson or crystal white of a glass of Bordeaux wine and the glistening blue of the Cote d’Azur sea. See the beauty of the region with your own eyes as we take you on a 10-day luxury trip vineyard visiting, VIP wine tasting, picnic lunching and boat bronzing on our exclusive yacht, all the while staying in the most luxurious hotels France has to offer. A more idyllic way to unwind and indulge we cannot imagine. Start your South of France sojourn in Bordeaux where you will be taken to the glorious Les Sources de Caudalie to spend three nights. A beautiful French farmhouse hotel, Les Sources sits on the shores of a pretty lake and in the grounds of Château Smith Haut Lafitte’s vineyards. With a vinothérapie spa offering signature grape-based treatments-oh so French- and a two Michelin star restaurant, La Grand Vigne, we’re sure you’ll find Les Sources the perfect introduction to one of Europe’s most elegant regions. After a dreamy night’s sleep, and a pain au chocolat or two, you will be taken to the charming village of Saint Émilion for a guided tour. It is a historic UNESCO World Heritage Site famous for its catacombs, cobbled streets, Romanesque ruins and stunning views over the Dordogne valley. Not only will you get to marvel at all this, plus its fascinating 12th-century underground church, but it is here in Saint Émilion that you will also have your first Bordeaux tasting session. We say first but we wouldn’t be surprised if you’d already indulged in some fine wine at Les Sources de Caudalie’s tasting tower the minute you arrived. You are in Bordeaux after all. If the jetlag is getting to you not to worry as tomorrow you have a day at leisure to do as you please. Perhaps you’re up for a beach day at Arcachon Bay, oyster tasting and sunbathing? If not, relax at Les Sources by biking, walking or riding (on a horse-drawn carriage) through the vineyards. What a wonderful way to spend a day. Now that you have experienced the beauty of Bordeaux it is time to move on to pretty Provence where you will stay in Gordes at Crillon Le Brave for three nights. Perched in a charming hilltop village, Crillon Le Brave is a boutique hotel steeped in history with buildings dating back to the 16th century and an outstanding restaurant serving local cuisine and fine wines. Speaking of wine, tomorrow you will be whisked off to one of the region’s world-class vineyards for a guided tour of the vines and cellars. You will sip your way through a VIP wine tasting session before being given a picnic hamper, a rug and a map. Confused? The map is for you to pick your favourite spot in the grounds to have a luxury picnic lunch. No doubt exhausted from all that indulging, the next day will be spent at your leisure when you can visit the nearby medieval town of Avignon or, for all you Tour de France fans, head up Mont Ventoux for a glorious view of the valley below. You’ll then leave the lavender fields of Provence behind as you head down to the glittering Riviera, stopping off along the way for a lunch in Biot that you won’t soon forget. Putting a twist on traditional glassblowing, you’ll enjoy an expert demonstration before looking on in awe as a gourmet lunch is prepared for you, using just the heat and science of glass. Quite unlike anything we’ve ever seen before, this is one food shot you can’t help but post on Instagram. 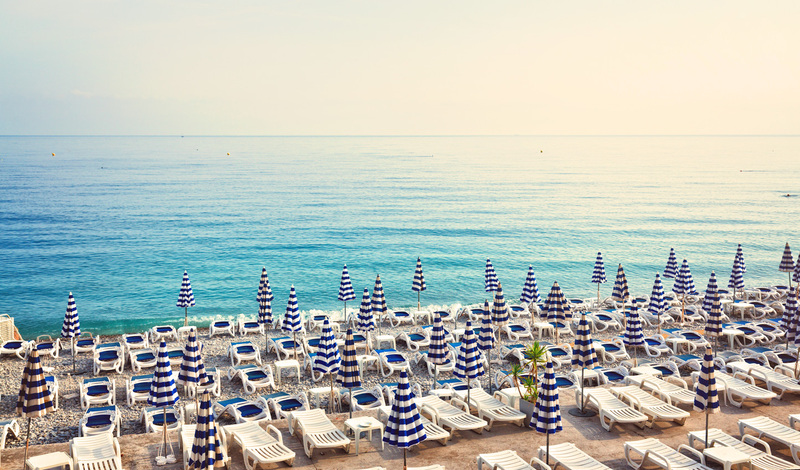 The final leg of your fabulous jaunt in the South of France will be spent on the Cote d’Azur in Saint-Jean-Cap-Ferrat . You will leave lovely Crillon Le Brave and head to the legendary palace hotel, Grand Hôtel du Cap-Ferrat for a three-night stay. Perched high on the peninsula, overlooking the dazzling Mediterranean and surrounded by a quintessentially French pine grove, Grand Hôtel is the pinnacle of luxury. It is home to a Michelin starred restaurant, a seawater infinity pool and beautifully manicured gardens, making it the romantic hideaway we all dream of visiting. Only a short 30 minute journey away are the lavish cities of Monaco and Cannes, either of which is certainly worth a visit on your penultimate day in France. However, if you’d rather explore the peninsula of Saint-Jean-Cap-Ferrat it boasts stunning views of the Mediterranean that you can marvel at on a hike. For the art aficionado in you Villa Santo Sospir, home of Francine Weisweiller, has walls adorned with murals and mosaics by Jean Cocteau so why not head there for a tour and dinner to end your day at leisure? On your last full day in the South of France, we have something extra special planned. After breakfast, we will whisk you away to the Port of Nice where you will board a private yacht and set sail to explore the Riviera in style. Once out on the waves, turn around and take in the idyllic sight of pristine white boats bobbing on the tide, back-lit by the colourful villas of Nice. In the distance, take in the unparalleled beauty of the French Riviera’s historic villages perched on hilltops, set against a brilliant blue sky. 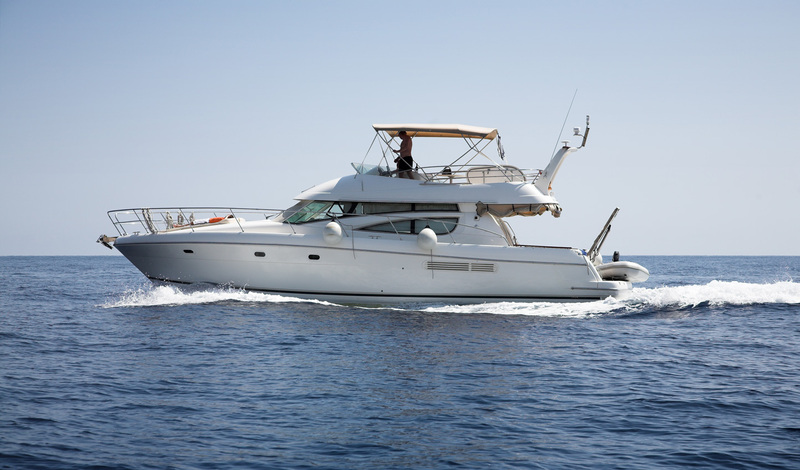 On your private yacht cool off from the heat of the sun with a quick dive into the sea’s rolling azure waves and feel the hours slip by as you bask in the glamour of the Cote d’Azur. Quelle magnifique. Depart from Nice Airport the following day with a South of France glow to the skin, a belly full of wine and a mind full of wonderful memories. La vie est vraiment belle.